1. 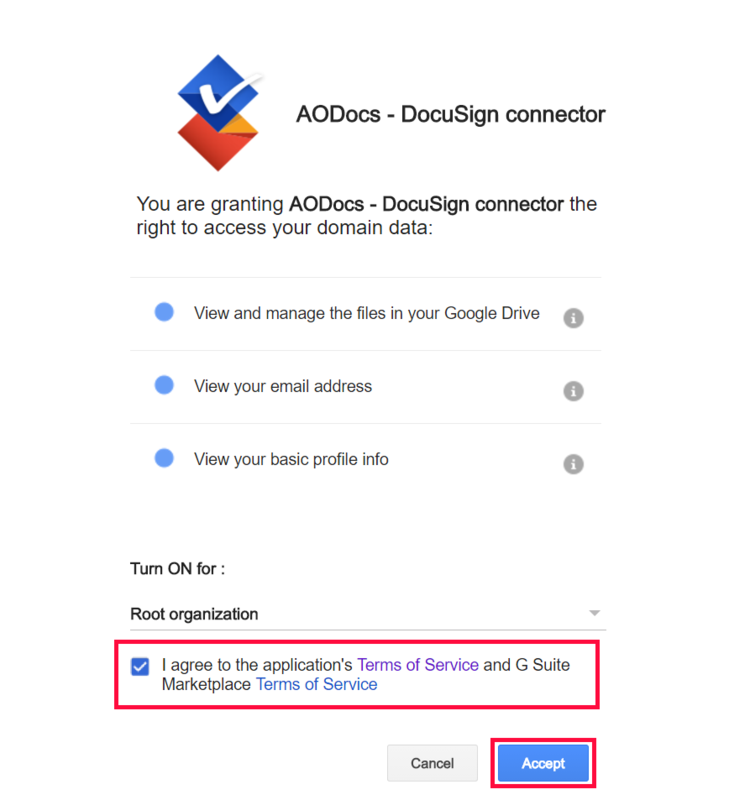 As a G Suite super administrator of your domain, open the AODocs-DocuSign connector application listed on the G Suite Marketplace, and press the Install app button. 3. 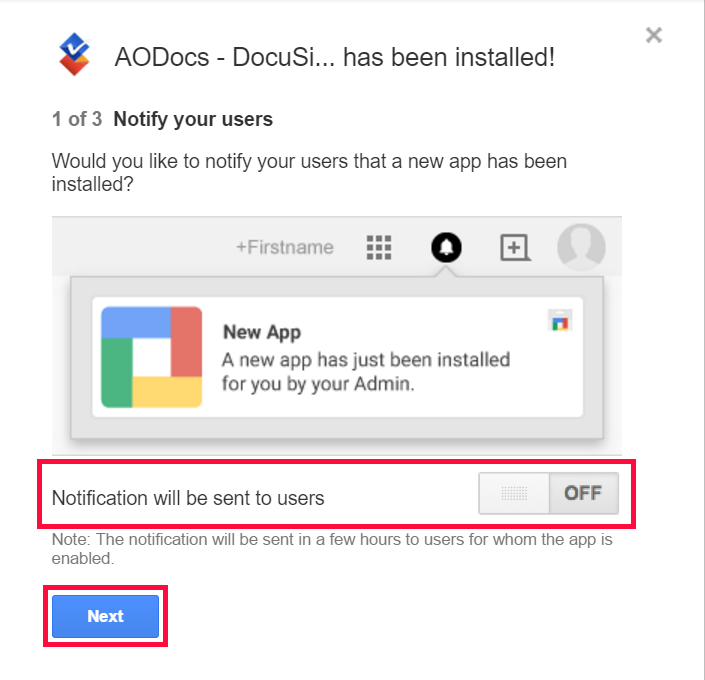 Turn ON or OFF the notification switch to notify your users about the availability of this new application. You’re recommended to turn the notification OFF. By default, none of the users on your domain is authorized to request the eSignature of an AODocs attachment. You must add users to your DocuSign Account. 1. Open this link to create a DocuSign account: https://account.docusign.com. 2. Open this link to access the DocuSign User Administration: https://admin.docusign.com/users. 3. Follow the DocuSign documentation to add users to your DocuSign account. 4. Select a permission set. You’re recommended to select DS Sender. Note: If required, you can define your own permission set. If you do this, as a minimum the permission Can send envelope must be granted. 5. Each user you added receives a confirmation email. When they follow the link, their status becomes Active in the DocuSign User Administration. 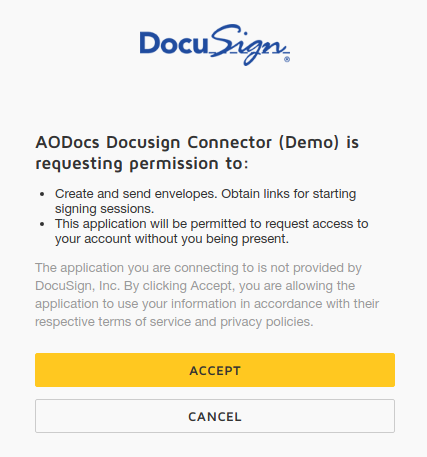 The first time each of these users requests the eSignature of an AODocs document, they need to grant the permissions required by DocuSign. 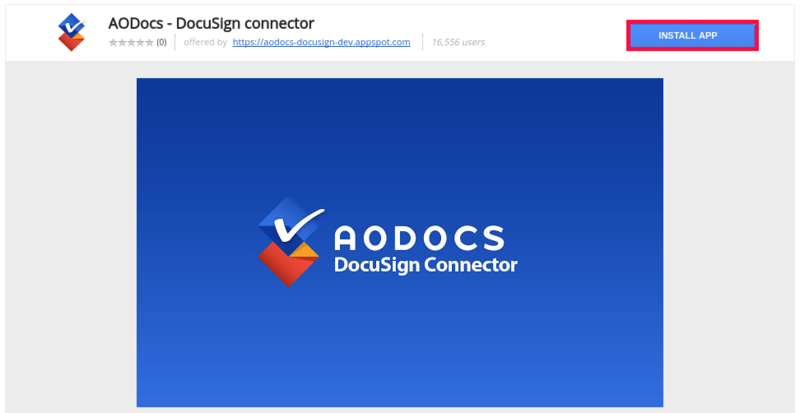 This allows the AODocs-Docusign connector to call the DocuSign application programming interface (API) to perform eSignature.